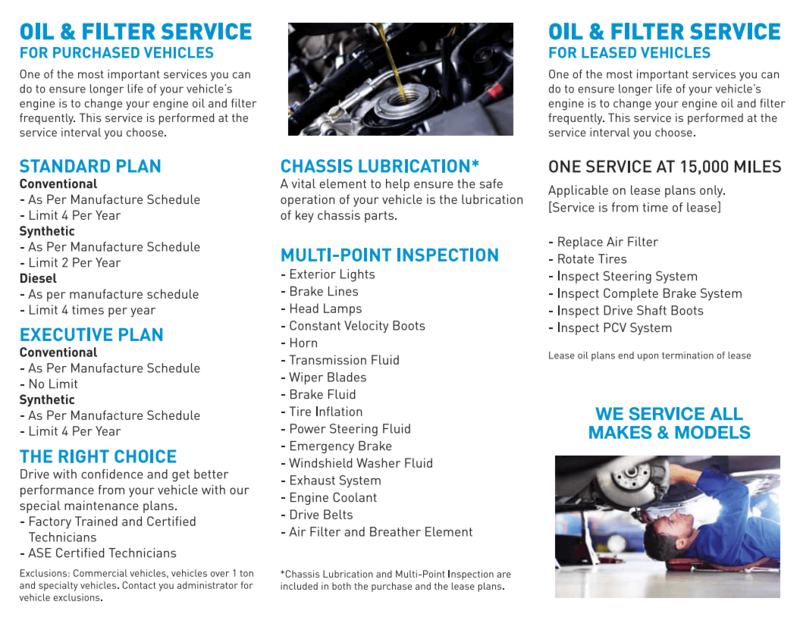 This special vehicle maintenance program will make your lease or ownership experience more enjoyable. A well maintained vehicle is also worth more when the time comes to trade. 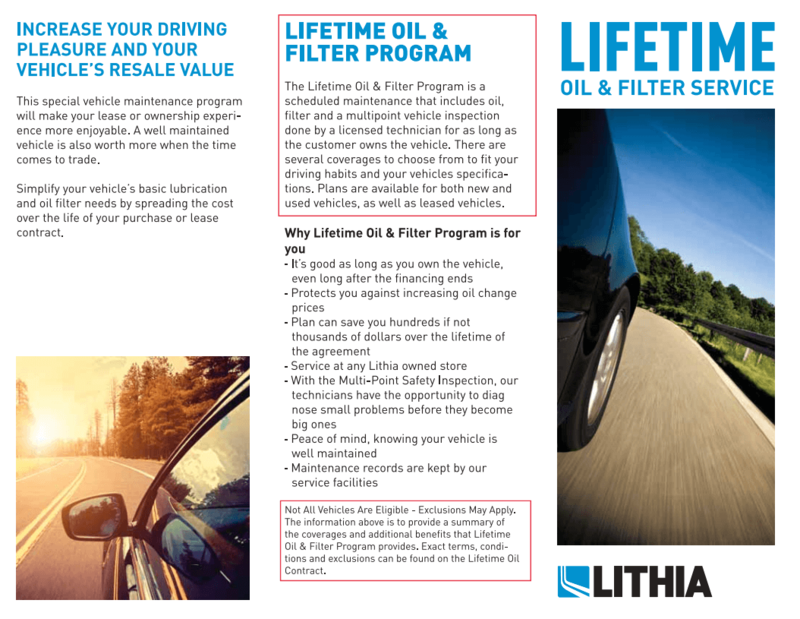 The Lifetime Oil & Filter Program is a scheduled maintenance that includes oil, filter and a multipoint vehicle inspection done by a licensed technician for as long as the customer owns the vehicle. There are several coverages to choose from to fit your driving habits and your vehicles specifications. Plans are available for both new and used vehicles, as well as leased vehicles. Not All Vehicles Are Eligible - Exclusions May Apply. The information above is to provide a summary of the coverages and additional benefits that Lifetime Oil & Filter Program provides. Exact terms, conditions and exclusions can be found on the Lifetime Oil Contract. Maximum amount of 2 oil changes per year. Must follow all manufacturer recommended services in order to qualify. See Carson Nissan for complete details. Offer expires 12/31/2019.